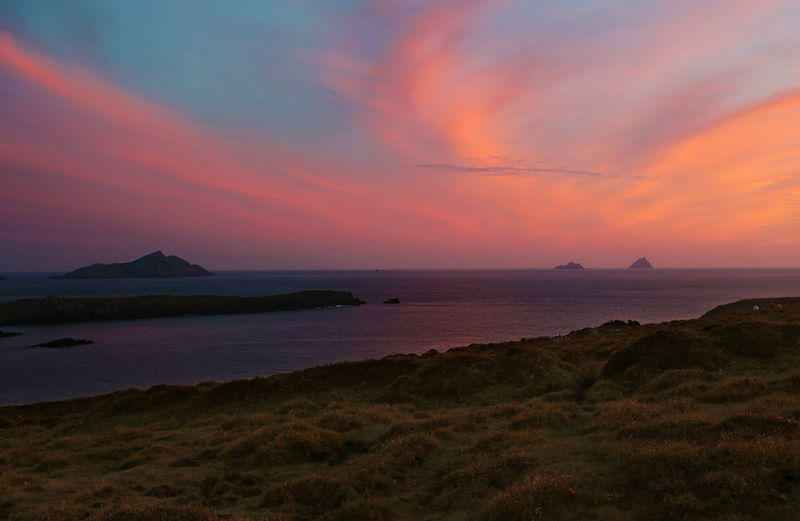 The award of International Dark-Sky Reserve on Kerry’s Wild Atlantic Way came from the International Dark-Sky Association http://kerrydarksky.com . This means that on clear moonless nights the sky in this South West region of Ireland is simply stunning; with many more astronomical sights to be seen with the naked eye as can be seen say in the Grand Canyon or the Desert Plains of Africa. This is the ONLY Gold Tiered Reserve in the whole of the Northern Hemisphere. It is the only Reserve that has a playground, a church, a little pub, a hostel, a graveyard, several beaches, a listed house – Derrynane House & Gardens… and… a chocolate factory. It takes in Kells, Caherciveen, Portmagee, Valentia Island, The Glen, Ballinskelligs, Waterville, Dromid and Derrynane/Caherdaniel. Everybody knows that Kerry is beautiful with scenery that simply talks ones breath away, but that is only telling half the story…when the sun goes down usually in a kaleidoscope of colour, another scenery comes into view made up of many thousands of stars…except of course, on full moon nights when the stars fade into the moon’s gentle glow …not all the stars though, one can still the bigger brighter stars holding their own, most of them making the familiar shapes of familiar Constellations. 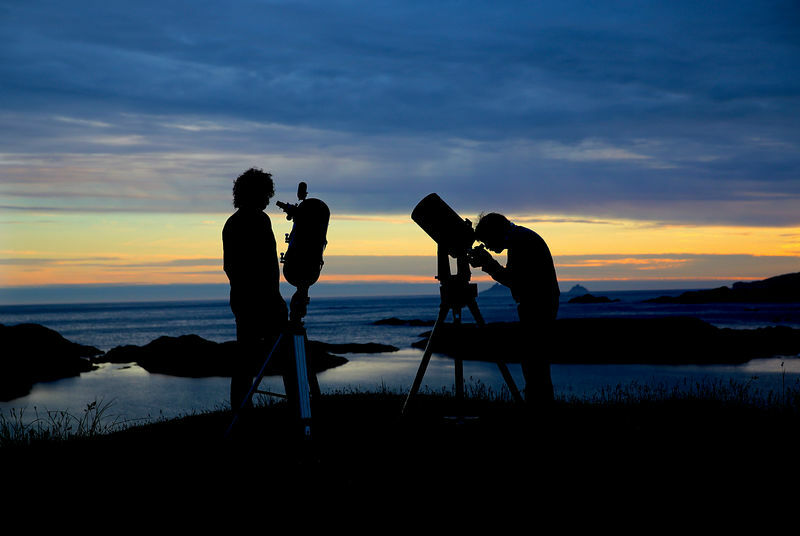 Why not book a stargazing guide to introduce you to the joy of discovering astronomy. Via the use of a powerful laser you will be shown the Constellations with many more stars than usually depicted. Hear the legends of the skies, be told the facts behind the stars, and see outdoor projections of planets, galaxies etc. to further enhance your learning. Or join in on an astronomy class which will be held every week in the soon to be opened Kerry Dark-Sky office in Ballinskelligs.